It's not as ridiculously freezing as it usually is this time of year, and I'm massively welcoming this. Although I can predict that the cold is coming for us early next year. Boots are one of my favourite things to wear in the cold - everything from chunky heeled ankle boots to cute waterproof wellies. Clearly, as you can see, Chelsea boots are my life at the moment. They are so comfortable and easy to wear! Also, clearly my type is black or tan shoes. 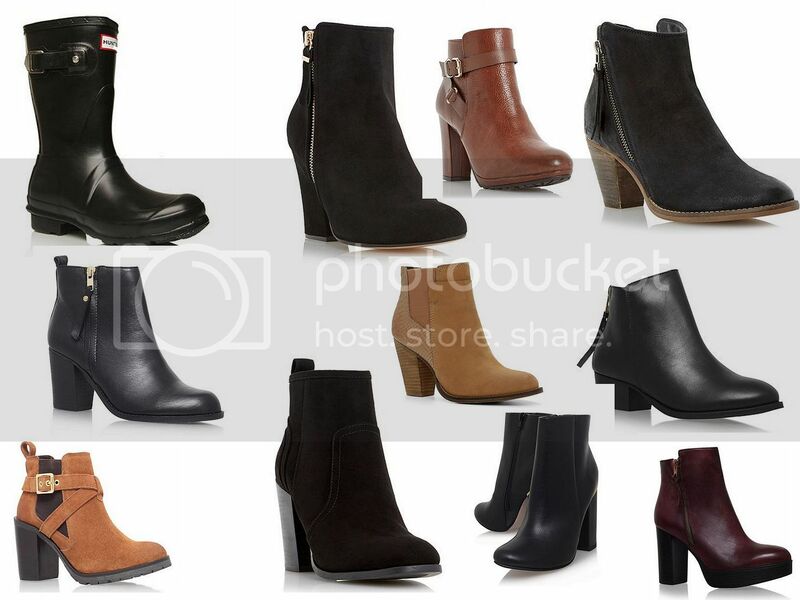 Ankle boots are my winter staple - I have so many but my wishlist keeps growing, anyway. There are so many cute pairs in this selection! I see a lot of black ;) lol Definitely some great picks! Love so many of them! ankle boots are just a must have for me all throughout the year. I love everyone! !